Richard McClees has been working in the industry for over 40 years after starting as a production worker in Local 206 in San Diego. Since that time he built a career that saw him immersed in every facet of the sheet metal industry while he held virtually every position at every level of our union. McClees followed his father, a proud 65 year member, and two brothers into the trade – all of whom served as models of hard work and commitment. After his time as a production worker in the sign industry, McClees became a building trade apprentice in 1970. He then became a journeyman four years later. In 1979 he became an instructor for the local JATC, where, in addition to working in the trade, he taught evening classes for 20 years. In 1994 when he was elected to serve as a Business Representative for Local 206. In addition to his duties as Business Representative, he was appointed to serve as Training Coordinator in 1996. He served in both roles until 2000 when the members of Local 206 elected him as the Local 206 Business Manager/Financial Secretary-Treasurer. 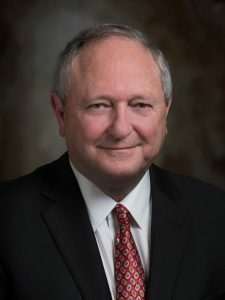 During his time as Business Manager, he served as President of the San Diego County Building and Construction Trades Council, Executive Board member of both the Western States Council of Sheet Metal Workers and the San Diego AFL-CIO Council and trustee on health and pension trust funds. Brother McClees came to the International in 2004 when he was selected to serve in the position of Chief International Representative for the Sheet Metal Workers. In 2006, he was appointed to serve as Assistant to the General President/Chief of Staff where he oversaw a large segment of the day to day operations of the International. He became SMART General Secretary-Treasurer on May 1, 2015, succeeding now General President Sellers who became General President. In addition, McClees currently serves as chairman of the Local Unions and Councils Pension Plan, a trustee of the National Pension Fund, administrator of the Sheet Metal Workers Scholarship Fund as well as a trustee and member of numerous other national funds and committees.